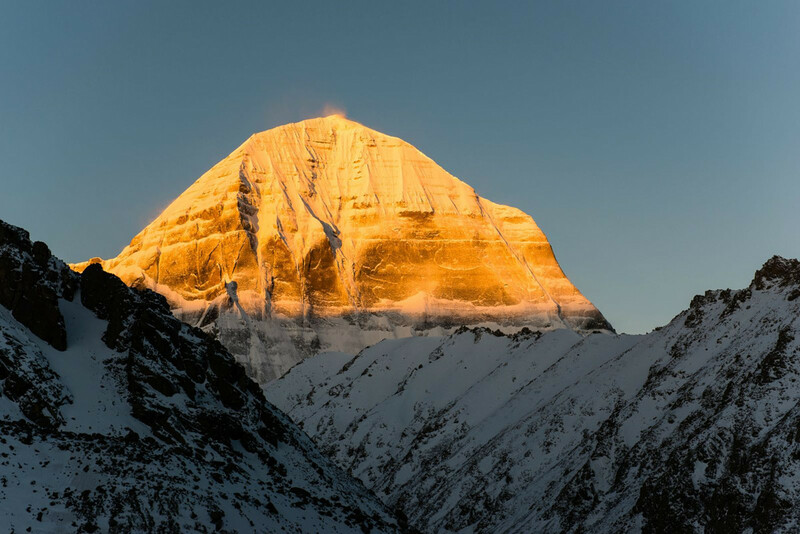 China Tibet Online published a strange photo feature titled, Sacred mountains and lakes witness of China-India relationship. The article sounds like a warning to India. Let us remember that China’s 'Southern Tibet' engulf the entire Indian State of Arunachal Pradesh. Why should India feel restless? Why should India ‘criticizes’ China’s policy in Ngari, considering that it is one areas which has received less attention from Beijing …so far. 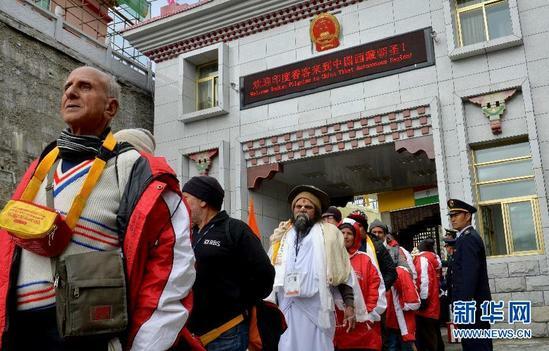 There is however no doubt that in the years to come, Lhasa (and Beijing) will develop Western Tibet on a large, bringing millions of tourists with the attendant infrastructure close to India’s borders. The second picture reinforces the warning. 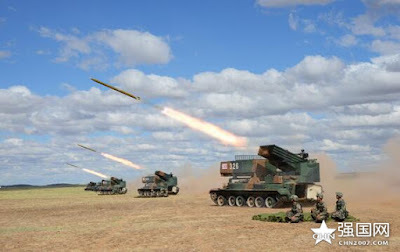 It shows and artillery regiment practicing in Ngari sub-sector of the Tibet Military Area Command (photo may have been taken somewhere else): “From what can be observed on the map, Ngari is an important gateway in China’s southwestern borderland region. 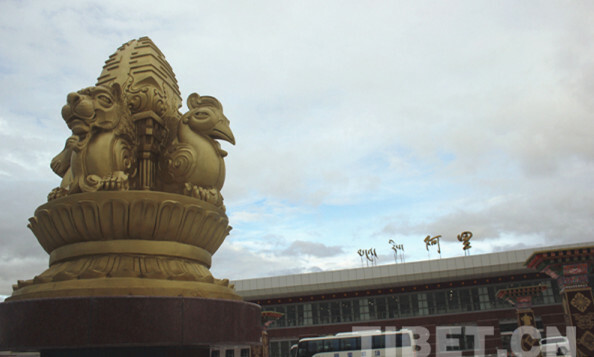 The straight-line distance from the Zhada County [Tsamda Dzong] to India’s capital city of New Delhi is just 500 kilometers, which possesses a very important strategic positioning,” says the article. It really sounds like a threat. 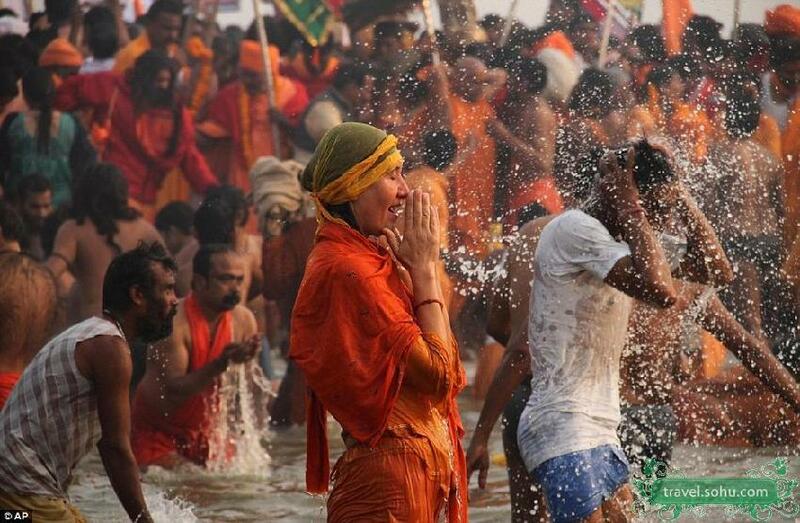 The third picture shows devotees in the Ganga. 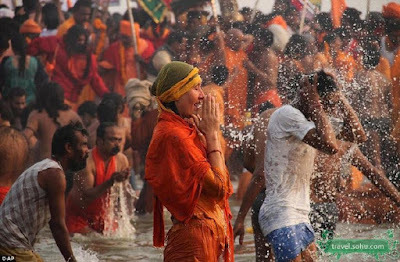 The caption says: “Apart from the fact of the close distance, India’s Ganges River, the river that is crucial to India’s life and passes through the most fertile lands and the most populated areas in India, originates from Ngari. In Tibetan language, the upper reaches of the Ganges River are called the “Majiazangbu” [Mabja Tsangpo] which means ‘the peacock river’ [from the peacock’s mouth]”. What is the message for India? There is no doubt that in controlling the rivers of Tibet, China has a great advantage on the downstream nations, India in particular. India knows it and has to live with it, while reminding China from time to time, that these rivers are ‘shared’ resources, not belonging to the upstream State only. China does not ‘criticizes’ China, but just wants to be informed on what is going on ‘shared’ rivers, which are not the unique property of China. 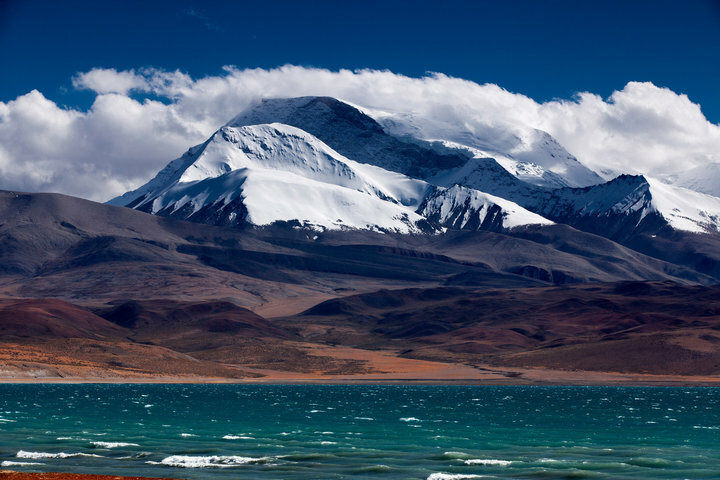 There is no doubt that in the next 5 years, China will concentrate its energies in developing Western Tibet with serious implications for the security of India’s borders. 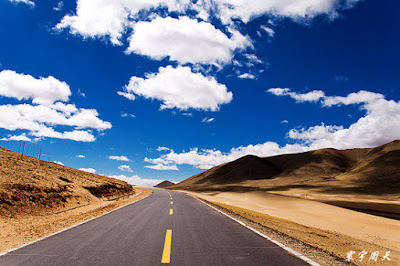 I already mentioned on the blog, the improvement of the NH219, the ‘Aksai Chin road’ connecting Western Tibet and Xinjiang, which has already started. It seems to be ‘the priority’ for the Lhasa government, now lead by Wu Yingjie, but also for a restructured PLA. Let us not forget that the entire Tibetan plateau is now under ONE Command, the Western Theater Command and the powers of the Tibet Military Command have been greatly enhanced in the recent months. Though it is good that China admits that the ‘highest Indian god’ resides in Tibet/China, it is a bit surprising to see the masala, of military, infrastructure and religious pictures in the same article. 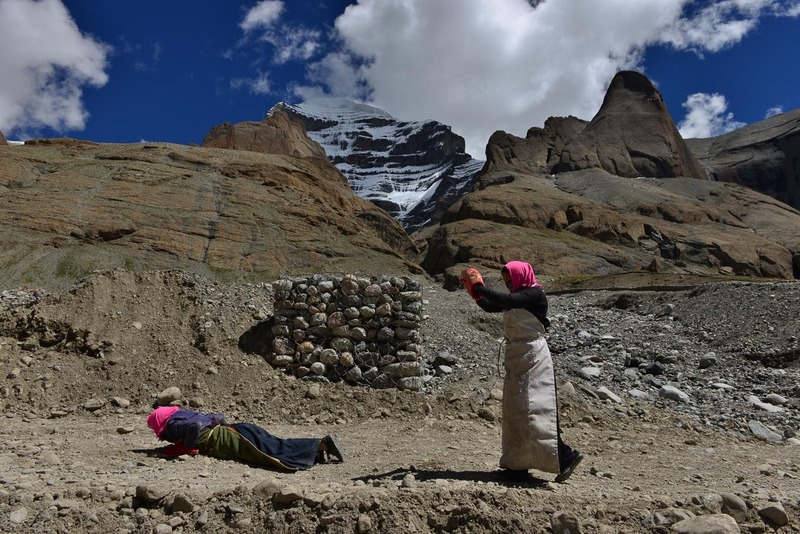 Then there is a photo of pilgrims performing the parikrama around the Kailash “always surrounded by white clouds which makes it very difficult to see its real look. Every year the faithful Buddhist pilgrims from India, Nepal, Bhutan and Tibetan-inhabited areas in China come to the foot of the sacred mountain. 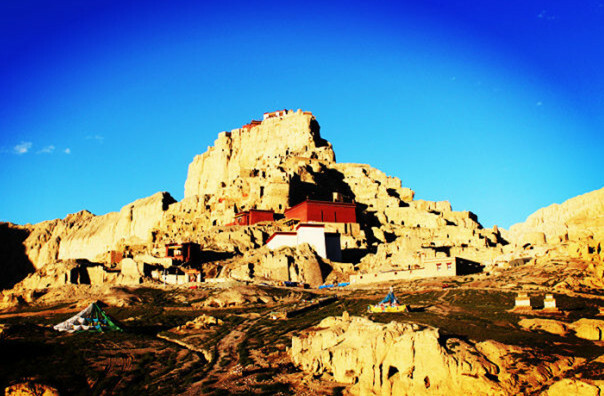 They circle the mountain, knock their heads on the ground and pray, all is for the purpose of receiving providence and being able to see the mountain peak,” says the China Tibet Online. Incidentally, the same article appeared in Chinese, but without the photos (at least the article I saw). You can’t have Kailash without the Manasarovar; the website explains: “To the south of Mount Kailash, there is a sacred lake called Lake Manasarovar which is also considered as the resident place of gods by the religious followers. The lake water is formed by the melted snows of Mount Kailash which runs in different directions, therein forming the Horse-spouted River in the east [Brahmaputra], the Peacock-spouted River in the south [Ganga], the Elephant-spouted River [Sutlej] in the west and the Lion-spouted River in the north [Indus]." 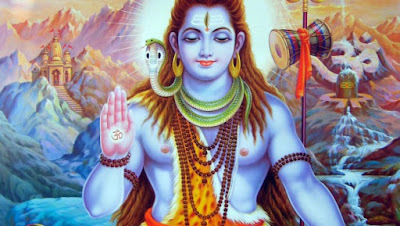 This type masala (military, religion, diplomacy, etc.) is rare in the Chinese press. The article definitively contains a veiled threat to India: China is going to develop the area on a mega scale, and India should not feel 'restless' about it and should not ‘criticize’ China. The message is perhaps: India should feel restless. Coincidentally, China Military Online announced that General Fan Changlong, the senior vice chairman of China's Central Military Commission (CMC) recently visited the Xinjiang Uygur Autonomous Region and the Tibet Autonomous Region. He mentioned “the construction of installations and facilities for war preparation, training and living in frontier defense units should be accelerated." He was accompanied by General Xu Fenlin, deputy chief of the Joint Staff Department, Lt Gen Liu Lei, Political Commissar of PLA Army, and Gen Zhao Zongqi, commander of the Western Theater Command. Though not mentioned Lt Gen Xu Yong, the boss of the Tibet Military Command must have been around. Is it another message for India?